When I got The Summer My Life Began, I thought I would be reading a fun, light and fluffy book about a summer romance. However, this book fell pretty flat for me and it left me feeling nothing at all. The main character, Elizabeth Margaret, or Em as she prefers to be called, lives with wealthy and very strict parents. They are controlling and expect her to behave like a "lady". Em already has her life planned out for her. Her parents expect her to go to Harvard to study law and work for her dad's firm. When Em's aunt, who she didn't know even existed, invites her to spend her summer near the beach where she runs a B&B, Em jumps at the opportunity. On her trip she comes to realize a lot. Em was a character who was dull, according to me. To be honest, I felt for her at first. She was under a lot of pressure from her parents and she had to have a pristine behavior and all. I thought maybe she would grow on me throughout the book, but I never really felt connected to her. Her voice wasn't very gripping and her tone was boring. One thing I liked about this book was the secondary characters. They were all fabulous. I think Em's sister was probably the best since she reminded me a lot of my sister. Their relationship was honest and sweet. You could really feel the love that they shared. Plus, they told each other everything and I liked how their relationship was explored. Cade is the hot surfer guy mentioned in the summary. He was an okay character I guess. He was sweet, a little bit broken on the inside and really caring. However, the romance between him and Em was lacking. I didn't feel the chemistry between the two and their love wasn't palpable. The story is basically about Em figuring out who she is and what she wants to do with her life. I'm not going to lie, it had huge potential, but somehow the book didn't work for me. The writing itself had no depth. A lot of events occur throughout the book, but it was all rushed and as a reader , I didn't get to feel what was truly happening. You barely have time to appreciate what's going on. Overall, this book was a major disappointment. It was pretty lackluster, but I think it might appeal to some readers. 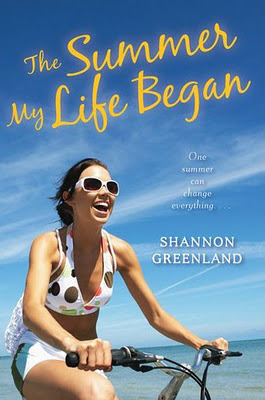 Sign into Goodreads to see if any of your friends have read The Summer My Life Began. 3.6% "Sounds like a Sarah Dessen novel!" 26.8% "I'm enjoying this book so far. I love summer books :)"
60.4% "I'm starting to get a little bored. I wish this book was a little bit more lively!"